Alison Graham helps clients navigate commercial and residential real estate disputes. As an experienced litigator, Alison presents her arguments with confidence and composure. She stands her ground even in the most complex disputes or when facing a less than favorable set of facts. 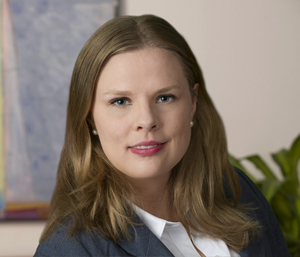 In her practice, Alison assists individuals and organizations involved in landlord-tenant and contract disputes involving housing discrimination, property contamination and defects, broker misconduct, mortgage fraud and premises liability. Alison’s clients often face issues that hinge on the interpretation of a particular phrase in a contract. She is adept at analyzing and carefully dissecting case law and statutes to find support for her position and build a strong foundation for her case. Maintaining a client-centric approach to her practice is key to the successful outcomes Alison achieves. Clients often compliment her keen ability to help them understand complex legal concepts and appreciate that she takes the time needed to do so.